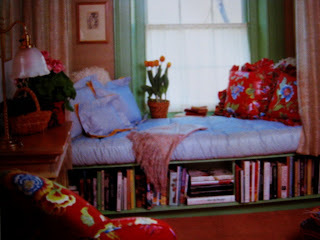 In small rooms, every square millimeter of space is important. A multi-purpose divan bed unit is great for reclining on during the day while you read, and a haven for slumber at night-makes optimum use for limited space. The unit is basically an open-fronted box. The top of this unit is fixed solidly, but it could be cut along the centre of the bookshelf position, and the rear left loose. A couple of finger holes bored in it and, voila, you’ve got a great additional storage space for those little-used items. The unit is made from 18 mm particle board which should be edge-stripped to ensure a good finish. You need a top and bottom 900 mm wide x (at least) 1950 mm long, four pieces of 900 x 380 mm to make the ends and intermediate divisions, and two pieces the length of the unit x 380 mm for the back and the dividers. The timber plinth is constructed of 75 x 50 mm DAR (you could use sawn timber and plane the face of the front one). The timber plinth is positioned 50 mm back from the base to form a kick board. yes I am, of course, because the room is small, should look neat. so use a very much needed.